Wellington is nestled at the foot of the Groenberg and lies on the banks of the Kromme River. The majestic Hawequa Mountains forms the eastern border of this valley. 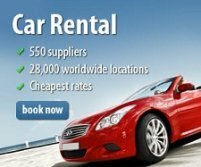 It is a mere 45 minutes (72km) drive from Cape Town and is in easy reach of all the other Boland towns. Originally the valley in which the town is situated, was known as Limiet Valley (border or frontier valley) but the area became known as Val Du Charron or Wagenmakersvallei (Valley of the Wagon maker) towards the end of the 17th century when the French Huguenots settled here. After the establishment of the town in 1840, the name was changed in honor of the Duke of Wellington, renowned soldier and conqueror of Napoleon at the Battle of Waterloo. The first inhabitants go back as far as the Stone Age. This period stretches over thousands of years to the San and Khoi groups of the 18th & 19th century. Artifacts have been found around the Bainskloof Mountains and surrounding hills which can be seen in the local museum. The town is also well known for its educational institutions, which was initiated by Dr. Andrew Murray. You will be able to see a memorial statue of him in front of the Reformed Church when you enter the town. The vegetation in the Limietberg Nature Reserve is predominantly mountain fynbos with remnants of indigenous forest in some of the wetter kloofs. Various mammals occur, including dassie, klipspringer, baboon and the occasional caracal and leopard. 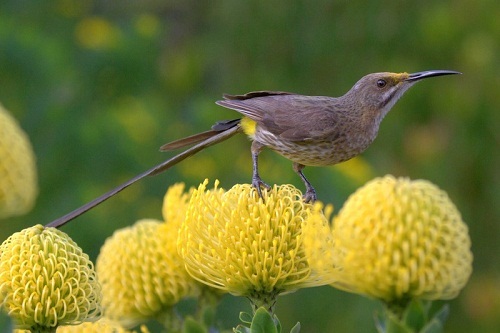 Two endemic birds, the Cape sugarbird and the protea canary, as well as black eagle and various other raptors may be sighted. Trial description: This is a moderate out-and-back trail that runs along the Bobbejaans River (a tributary of the Witte River) in Bainskloof and finally leads to a waterfall. Trial description: This linear trail in Bainskloof is moderate to difficult, depending on your level of fitness. The strenuous sections involve rock hopping, swimming and lots of adventure. Find your own way down the boulder-strewn riverbed surrounded by riverine bush. Although most of the water obstacles can be side-stepped, there's no getting around a pool near Tweede Tol which you will have to wade through. The trail starts at Eerste Tol in the Bainskloof Pass and follows the Witte River to the finish at the Tweede Tol picnic site. Because it is a linear trail, you will need a vehicle at the start and another at the finish. Trail description: This easy out-and-back walk starts in Bainskloof and is the ideal walk for families and beginners. Because it follows a section of the Limietberg Trail to Junction Pool, the trail is limited to 12 people per day. It begins at Eerste Tol, where vehicles may be parked, and leads up a jeep track past the ruins of an old house and a monument commemorating the 1895 Witte River disaster. The trail features a number of beautiful and accessible rock pools. The secluded Junction Pools, where the two rivers meet, is the most popular destination and also the end of the route. Return via the same path. Trail description: This easy to moderate out-and-back trail is ideal as a winter's day hike. It starts in Du Toitskloof, immediately to the right after the Worcester exit of the Huguenot Tunnel. Permit holders can park in the fenced parking area at the tunnel control truck stop, about 70m from the tunnel. 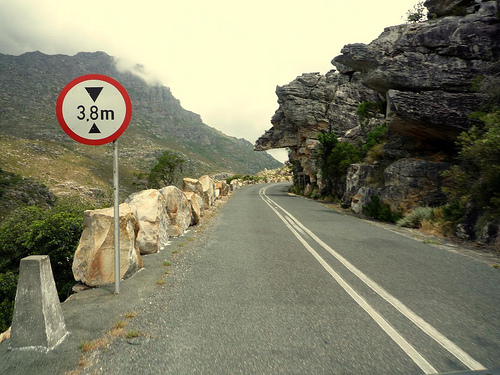 Bainskloof Pass is a 30km pass situated on the Regional road R303 between Wellington and Ceres. The pass was built by Andrew Geddes Bain and completed in 1853 using convict labour. 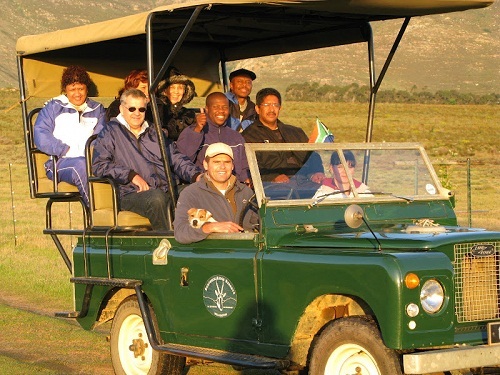 Bontebok Ridge Reserve, is part of the Renosterveld Conservancy in the Limietberg Valley. 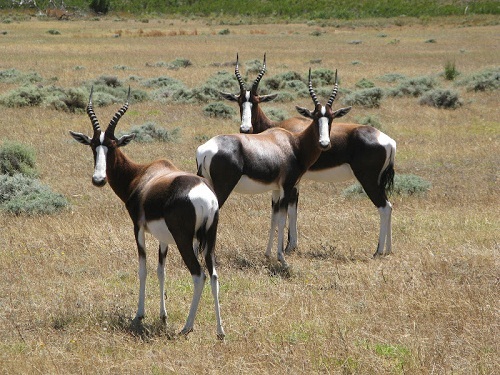 Game drives allow you to see eland, wildebeest, springbuck, duiker, grysbuck, grey rhebuck, and other indigenous species. The zebra in the reserve are part of a revolutionary attempt to re-breed the extinct quagga, a zebra like animal with no stripes on the rump and legs but with identical DNA to the Plains zebra. Welbedacht Wine Estate forms part of the Wellington Wine Route and lies on the northwest side of Groenberg. This is the home of Schalk Burger and Sons wines. The Burger family is one of South Africa's most recognised sporting names. Schalk Sr was a formidable Springbok rugby player back in his day. His son Schalk Jr has followed in his dad’s footsteps representing his country and being selected as the 2004 International Rugby Player of the Year. Second son, Tiaan, has hung up his provincial rugby boots and now heads up the cellar’s marketing operations. Daughter René is herself a chip off the old block, having gained representative colours for netball. Return from Wellington page to Homepage.